Kelsi Wade focuses her practice on representing and counseling clients through all phases of litigation in both state and federal courts throughout the state of Texas. Kelsi has experience defending clients against personal injury and wrongful death claims in cases arising in the construction, commercial trucking, premises liability, and products liability contexts. She also has accumulated considerable experience representing general contractors and sub-contractors against commercial and residential construction defect claims. Through comprehensive evaluation and planning during the initial stage of litigation, Kelsi has successfully secured dismissals of lawsuits and favorable rulings in administrative proceedings on behalf of real estate professionals in matters involving purchase agreements and real property liability disputes. Kelsi earned her Bachelor of Arts in Political Science from Baylor University. While at Baylor University, she was a member of the Dean’s List and selected as a Bob Bullock Scholar. 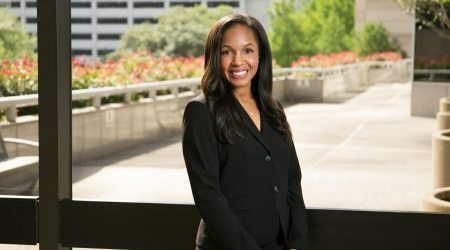 Kelsi went on to receive her Juris Doctor degree from the University of Houston Law Center where she served as the Senior Articles Editor for the Houston Journal of Health Law and Policy.